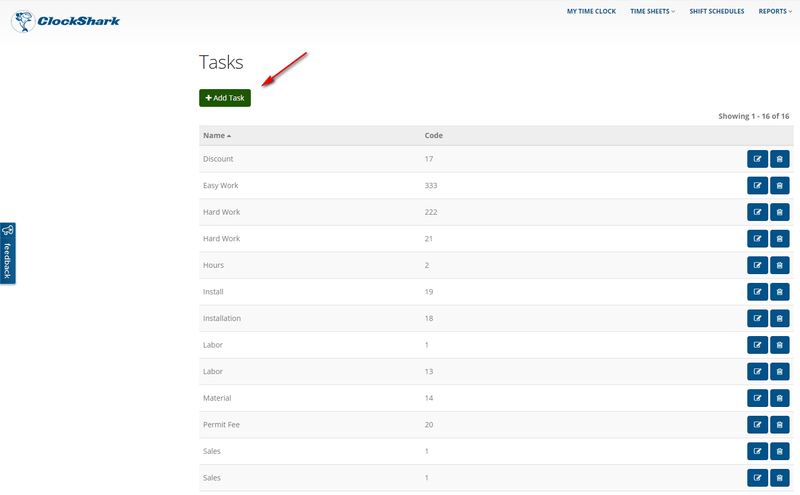 A Task in ClockShark corresponds to a specific labor type in your business. For example, a business might use Tasks such as "Labor", "Travel", etc. When Employees clock time in ClockShark, they will select a Job and Task to associate the time to. This recorded Job and Task info can then be used for various purposes such as generating reports and costing jobs.